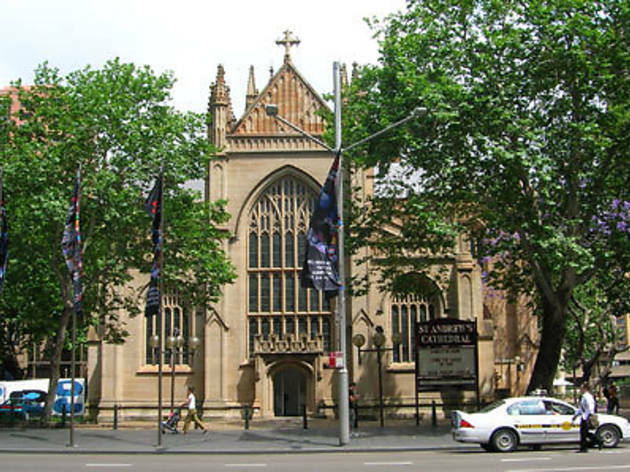 This huge late-Gothic edifice, the oldest cathedral in Australia, was started with astonishing confidence by Governor Macquarie (who named it after the patron saint of his native Scotland) when Sydney was still the size of a small village. 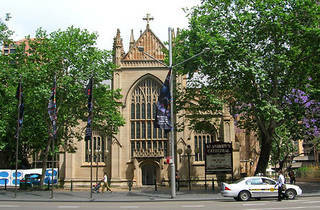 The first stone was laid in 1819, and the cathedral was consecrated in 1868. Three architects contributed to it, the most notable being Edmund Blacket, city architect between 1849 and 1854. Special elements link the cathedral to the motherland, including intaglio tiles made by Mintons and two stones from the Palace of Westminster. Military commemorations honour the landings at Gallipoli and the prison camp at Changi in Singapore. Recent conservation work has restored the interior (altered in the 1950s) to its original glory. CityRail Town Hall. Open 10am-3pm. Tours by arrangement daily. Admission free.